If it was hard to find time to cook in the summer because I was too busy playing, it’s even harder now that I’m too busy shlepping. Between carpools, extracurriculars, coaching running club and work, there’s little time for dinner. And yet, my kids are hungrier than ever after school. One of my favorite go-to dinners lately has been this chickpea sandwich. It requires no prep, takes all of 5 minutes to make in my food processor, tastes like a chicken salad sandwich, is healthy and my kids love it. Need I say more? 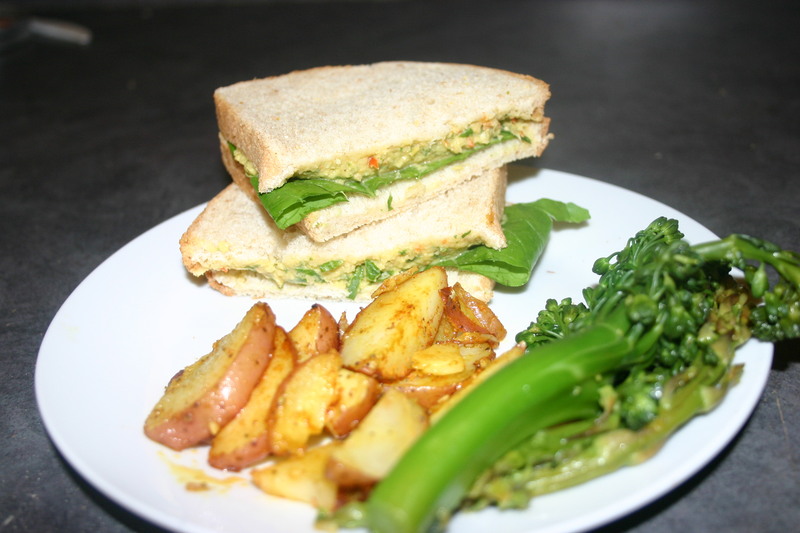 Chickpea salad with steamed broccoli and potatoes. Combine all ingredients in a food processor until ground but still course (texture should be like chicken salad). Serve on toasted bread of choice with lettuce, tomato and even cheese. Mountains, s’mores and bears, oh my!